In Tai Chi Fusion BAMBOO you'll experience the blending of water and wood. In tai chi water provides you with deeper level of flow, while wood is expressed by the flexible movements of hatha yoga. In this workout, you will learn to surrender fully. You'll extend and stretch your body and mind, like a bamboo tree reaching for the sky. Master teacher David-Dorian Ross has studied both tai chi and hatha yoga for over forty years. Tai Chi Fusion: BAMBOO is the blending of these two ancient mind-body practices, which perfectly compliment each other. The Bamboo workout is the blending of water and wood. The water element will help you discover a deeper level of flow, giving you a delicious infusion of qi energy. The wood element is expressed by the flexible movements of hatha yoga. 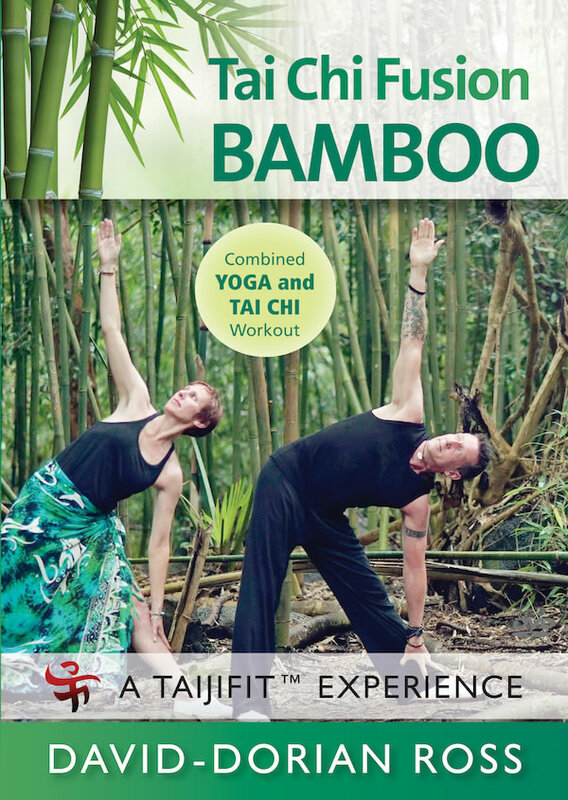 Filmed in a beautiful bamboo forest in Hawaii, this workout will make your body supple and your tai chi movements relaxed—just like bamboo trees waving in the wind. Growth in tai chi can’t be forced; you have to learn to let go. In this workout, you will experience the principle of surrender. This will help you extend and stretch your body and mind, like a bamboo tree reaching for the sky.